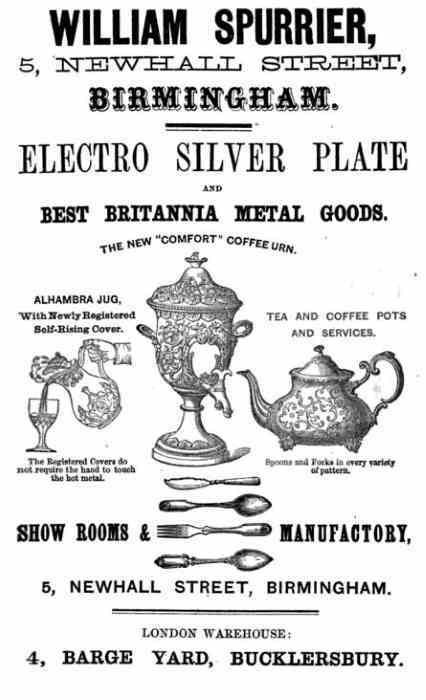 Arthur Elwell Spurrier was active in 1883 at 35 Coleman Street, London (showrooms). 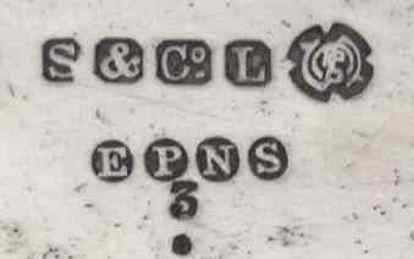 In the same year A.E. 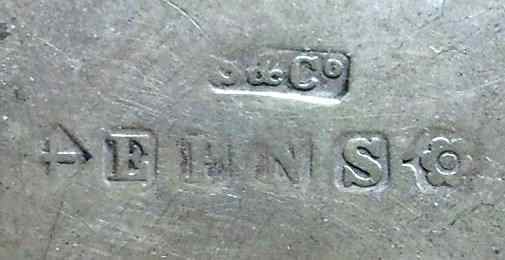 Spurrier entered sterling hallmarks in London. In 1890 Spurrier & Co were active at 14 George Street, Birmingham (works) and 42 Wool Exchange, Coleman Street, London (showrooms). 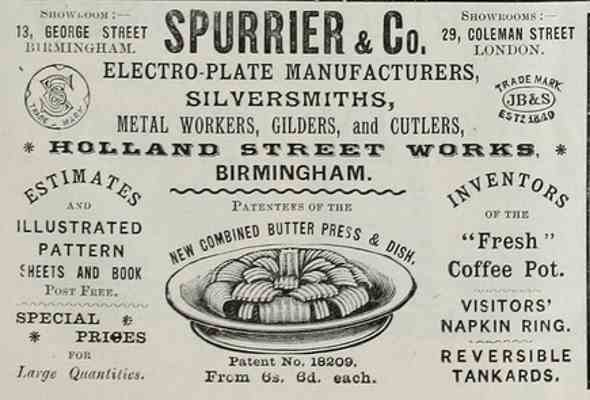 In 1892 Spurrier & Co was active at Holland Street Works (Birmingham) with showrooms at 13 George Street, Birmingham and 29 Coleman Street, London. 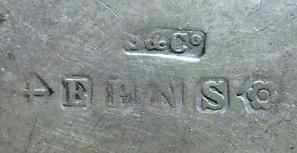 In the same date Spurrier & Co advertised as owner of the JB&S trade mark (Jonas Bowen & Sons). A.E Spurrier was succeeded in the business (29 Coleman Street, London, 1895) by John Walter Spurrier. Spurrier & Co entered sterling hallmarks in Birmingham in 1886 and 1890. 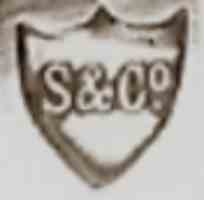 In 1901 Spurrier & Co Ltd entered a sterling hallmark in Birmingham. J.W. 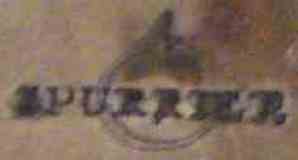 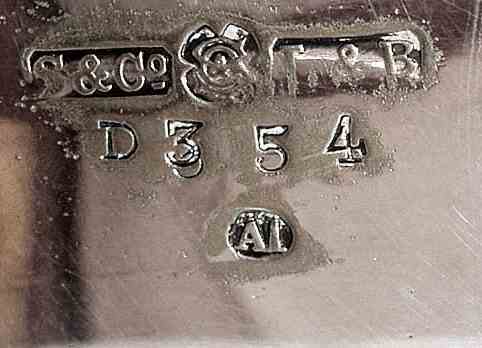 Spurrier entered sterling hallmarks in London (1895 and 1900) and Chester (1911). 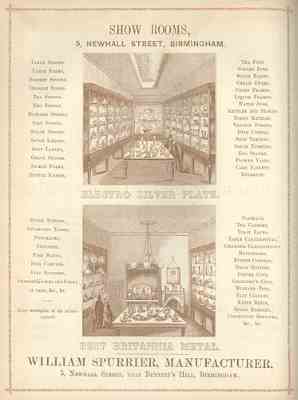 John Walter Spurrier & Co was listed in 1914 at 15 Wool Exchange, Basinghall Street, London (showrooms). 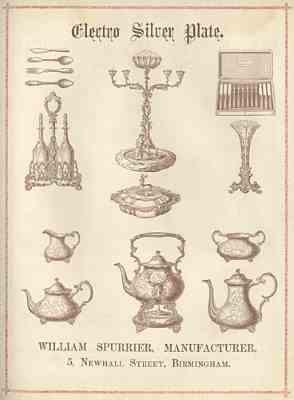 William Spurrier was established in 1844 participating to the 1851 Great Exhibition and to the 1862 International Exhibition. 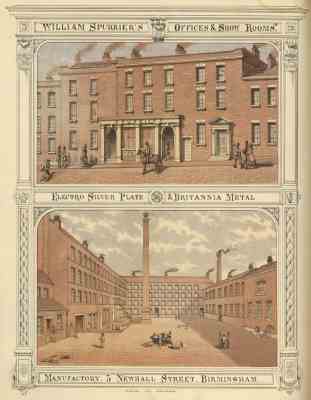 In 1867 the firm was active at 4-5 Newhall Street, Birmingham (showrooms at 4 Barge Yard, London). 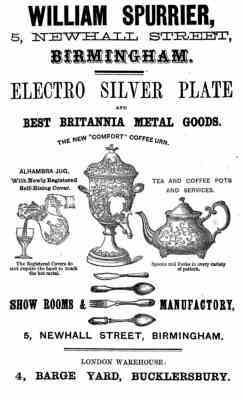 William Spurrier Ltd was active in 1883 at 81 Colmore Row, Birmingham and Wool Exchange Coleman Street, London as silversmiths and electroplaters (showrooms). 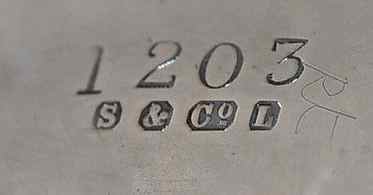 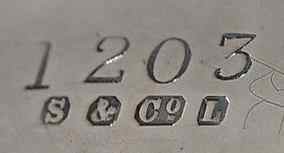 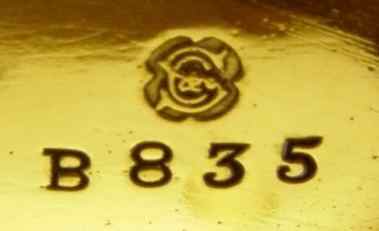 In 1883 William Spurrier entered two sterling silver hallmarks in London. 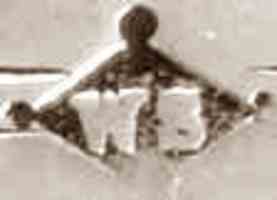 A connection between the two firms has not been established.